In a recent post where I talked about kicking low-maintenance to the curb, I mentioned that I restarted my Stitch Fix subscription. Stitch Fix is a wonderful service for people who, like me, hate shopping, find it very stressful and depleting, and hence find themselves with literally “nothing to wear”. I’ve received several Stitch Fix shipments so far, and they keep getting better and better. In the last two, I only sent items back because they didn’t fit, not because they weren’t my style. 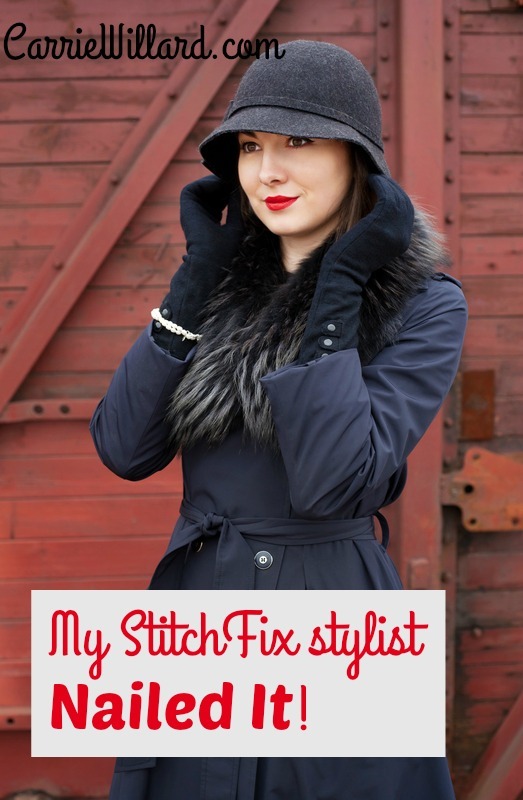 I have a few tips that will help your Stitch Fix stylist nail it. Be honest about your likes and dislikes. Don’t say you love long, flowery hippie skirts if they overwhelm your frame and make you look dumpy and confused. (Sometimes it’s tricky to know what you love on other people, and what you actually love, is flattering on you, and that you will indeed wear and feel great in. It took me nearly 40 years to figure this out.) Let them know about your modesty preferences as well. My stylist knows I won’t buy anything that shows cleavage or is above the knee. If anything changes about your size, update your profile! I got a box recently and had to send things back that I would have liked otherwise, simply because I had lost weight and it was all too big. Keep that sucker updated. Stitch Fix encourages this. When you sign up to receive your first shipment, they ask for a link to a Pinterest board. As an example, mine is here. Not only does this give your stylist a visual aid to your style, it also helps YOU define what you like (which isn’t always easy to do). Looking at my board, it’s fairly obvious that I love stripes, black and white punctuated by jewel tones, and a classic, fitted cut. Nary a piece of lace, and nothing that could be described as boho will be wrapped around my body. It’s amazing how many times I’ve looked at an item and thought, “No way that will work on me”, only to try it on and fall in love with it. Things really do look different on. Conversely, an item you love (that edgy black moto vest, ahem) may just be plain weird on your frame. Lock the bathroom door (or wherever you have a full-length mirror), give yourself some time, and try things on. Do it when your hair and makeup are looking good and your legs are shaved too, otherwise you’ll end up wanting to send everything back. Trust me on this! When you complete your Stitch Fix transaction (putting the unwanted items back into the postage-paid mailer, or not, as the case may be, and checking out online), you will be given a quiz to fill out. It will ask you how you liked each item, how it fit, your thoughts on the price point, etc. Be sure to give details here. “I loved the look of this vest, but when I tried it on, it just fit weird and I couldn’t figure out what to do with the zipper“. Etc. So you love it. Why? Is it the stripes you’re a sucker for? (Oh wait, that’s just me…) Did it feel amazing? Did it go with your new black patent-leather peep-toe Mary Janes? What? Be specific. If you have an event coming up and need an outfit, let your stylist know a few months in advance. You could even pin a few links to a similar outfit to give your stylist an idea of what you’re talking about, and be sure to share that information as a note to your stylist. Have a great skirt or pair of pants and need that perfect white button-down? Let your stylist know! Finally, use your style cards to good advantage. If you’re a bit clueless in the fashion department like me, they’ll give you great ideas on how to pair up your fixes with other items in your closet. You can get as many shipments or as few as you want. Monthly, semi-monthly, etc – the choice is yours, and you can change it at any time. You get a 25% discount if you keep all the items (usually, 5) in the box. Neato! You are charged a $20 “styling fee” for each ship, but it’s credited towards the cost of the fix if you buy any item inside. And.. there is a nice referral program when you share with friends. And lastly, StitchFix works for every style. You don’t have to be a “Classic I Belong In Paris” like myself. Check it out here! came froM MMD for your bullet journal post, but I poked around and i LOVE the low-maintenance post. So so true, and something I’ve been working on very recently. For years (my whole life?) 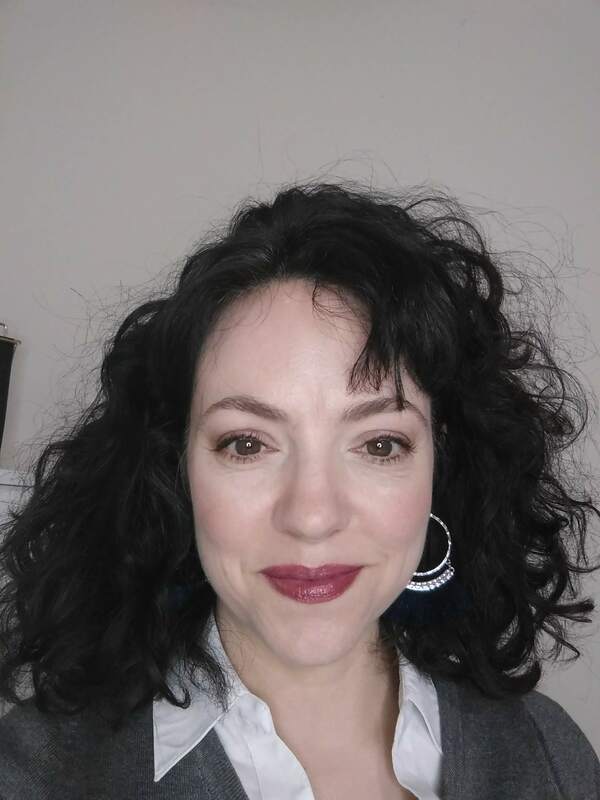 I’ve hated my thick, wavy, frizz-prone hair, and since having kids, I would never take the time to style it and just pulled it back in a ponytail so it was out of my way so I could attend to everyone else’s needs in the morning. I recently got a short hair cut—so short I cannot pull it back. I have to take a few minutes every morning and straighten it. I’ve gotten so many compliments and feel good about my hair for the first time in many years. With the new haircut, I noticed earrings really stand out, so I’ve been putting some on once in a while. And adding some lipstick. Who am I? I’m turning 40 this year, and maybe that propelled the change, but its nice to like what I see in the mirror!